In North America, aluminum is the predominant choice of winding material for low-voltage, dry-type transformers larger than 15 kilovolt-amperes(kVA). 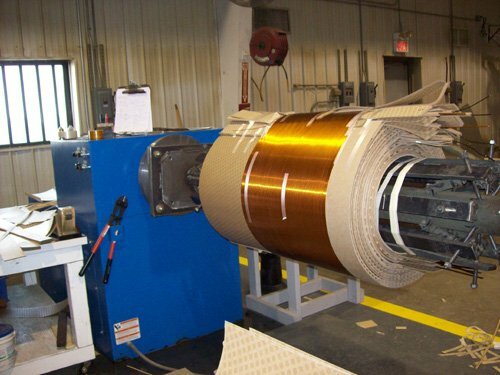 In most other areas of the world, copper is the predominant winding material. The primary reason for choosing aluminum windings is its lower initial cost. The cost of copper base metal has historically proven to be much more volatile than the cost of aluminum, so that the purchase price of copper conductor generally is the most expensive choice. Also, because aluminum has greater malleability and is easier to weld, it is the lower-cost manufacturing choice. However, reliable aluminum connections require more discipline and expertise on the part of transformer installers than that needed for copper connections. Aluminum expands nearly one third more than copper under changing temperatures. This expansion, along with the ductile nature of aluminum, has caused some problems when bolted connections are improperly installed. To avoid joint loosening, some type of spring pressure connection is necessary. Using either cupped or split washers provides the necessary elasticity at the joint without compressing the aluminum. By using proper hardware, aluminum joints can be equal in quality to copper joints. The lower tensile and yield strength of aluminum has prompted some concern about its use in cyclic load applications. Loads drawing high peaks of current such as DC drives and other SCR controllers, create electromagnetic forces that can cause movement of conductors and coil leads. As shown in Table 2, aluminum has only 38% of the tensile strength of copper. However, the table comparison is based on equal cross-sectional area. As previously noted, to obtain equal ratings in aluminum transformers, it typically requires 66% more cross-sectional area than copper conductors. The use of larger-sized conductors results in aluminum winding strength nearly equivalent to copper windings. The ability of a transformer to withstand the long-term mechanical effects of “high impact” loads depends more on adequate coil balance and lead support than on conductor choice. No significant difference in mechanical failure has been experienced between copper or aluminum low voltage transformers. Connectivity is by far the most common reason for “prejudice” against the use of aluminum-wound transformers. Both copper and aluminum are prone to oxidation or other chemical changes when exposed to the atmosphere. The problem is that aluminum oxide is a very good insulator, whereas copper oxide, although not considered to be a good conductor, is not nearly as troublesome in bolted connections. Cleaning and brushing with a quality joint compound to prevent oxidation is recommended for either material and simply more essential for aluminum. Most electricians are well trained in these procedures, and the technique of making bolted aluminum connections is a well-established and proven practice. Choosing between aluminum or copper transformer windings comes down to personal preference. The premium price for copper often requires purchase justification, but these arguments have been refuted in this bulletin. In truth, industry experience simply does not support any of the commonly stated reasons for choosing copper over aluminum. Aluminum-wound low voltage transformers will probably continue to gain increased acceptance because of their significant cost advantage over copper. As some of the old myths disappear because of the overwhelming success of the aluminum, more users will become comfortable with the relatively minor additional attention to detail necessary for making reliable aluminum connections. The extra attention given to aluminum joints has been theorized to contribute to better joints in aluminum than in copper. However, good practices when making electrical connections are an advantage to everyone in the industry, regardless of whether aluminum or copper is being used. Before investing in the additional cost of copper transformers, examine the reasons for copper preferences in the specifications. Great article and concise. Heard one other that peaked my curiosity. Physical size of a copper vs aluminum winding. 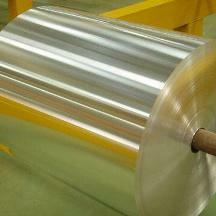 Since aluminum would have a greater outside diameter, it would have more of a probability for a phase winding short. I never research it, I thought it fell into the one category “theory only” at best. Never, looked into technically because the decision was based on price at the time. How can i calculate the transformer rating from its LV terminals ……. for example we have a transformer with AL secondary coils with output terminals cross section 120x10mm2 how we can calculate its power rating ? “Conductor in medium and high-voltage cables is copper.alumni has low ower current carrying capacity. If application of Transformer (Mainly aux. transformmer) is in Wind industries, where Wind turbine runs mostly unmanned it is advisable to use Al winding based trasnformer, pelase share your thoughts. I’ve found this information somewhere on the internet. I think it depends on market and some long time ago set rules. At the end it always comes down to personal preference. In fact, I’m having some problems described here with investor on project I’m following regarding transformers acceptance. Investor doesn’t want to accept already delivered dry type aluminium transformers because he expected copper wounds. Of course, on every paper he signed it stands Aluminium with big ‘A’, but… he is investor…. It will be solved good, I hope. In the North American welding community, for some reason it is preferred that the transformer used in arc welders be wound with copper, and an aluminum transformer is considered inferior. However, I prefer transformers with aluminum windings. I know that Al transformers are a bit bigger than Cu, but also much cheaper, and I had no complaints at all. There are some disadvantages, but afterall I still prefer power dry type transformers with aluminium windings.